Islands of the Sea ~ Free ebook! ... 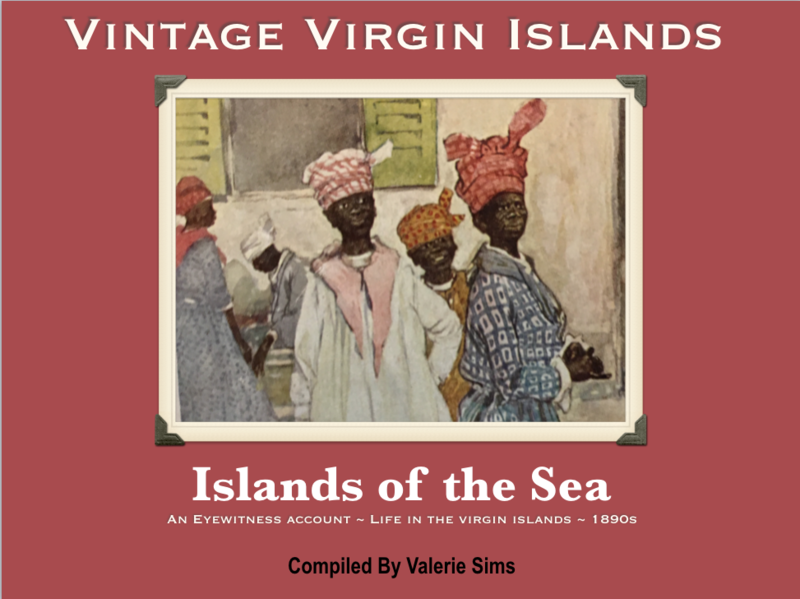 Ever wonder what living in the Virgin Islands was like one hundred years ago? Grab the free eBook and find out! 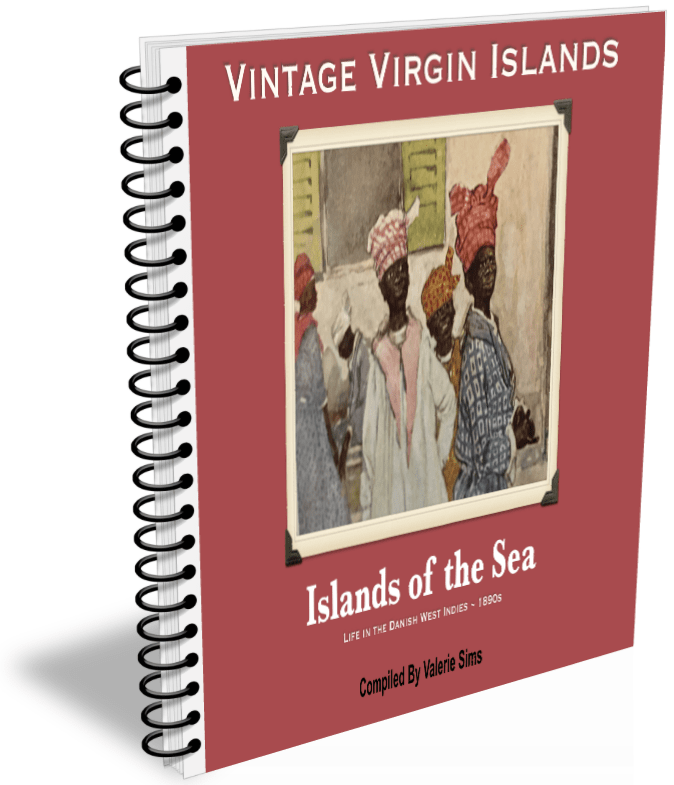 Many of the stories of the pirates who made the Virgin Islands their lair, can be classed under the heading of legends and traditions than of exact history. But there was no doubt that many of the legends were trustworthy, and if any particular ones were not true, others just as bad can be relied on! The great, man-eating fish would soon begin to swim up closer and closer to the carcass! Finally, one would turn over on its back and catching a limb of the sea animal, swim its tail around and tear the leg out like a piece of straw! The coaling of vessels was done chiefly by women, who carried the coal in baskets on their heads. Each basket contained about ninety pounds and the women paid one cent. They were "magnificent specimens of physical womanhood, carrying themselves always erect and with square shoulders." Their muscles were stronger than some of the men! If the history of St. Thomas were written in detail, it would contain a sufficient number of bloodcurdling, piratical, romantic and generally tragic adventures to satisfy the most exacting searcher for exciting literature. For it was in these waters in the old days that the notorious black flag of the Buccaneers was seen most frequently! Join our Facebook community for more! By clicking "Thank you", I agree to receive news, promotions, information, and special offers from Vintage Virgin Islands.